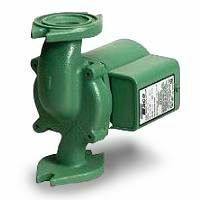 "00" series, Viridian, energy effricient "e" series and many other hydronic circulators in cast iron/bronze/stainless steel options. 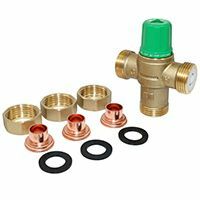 Zone Sentry and 570 series gold zone valves for readiant heating, hot water hydronic and geothermal applications. 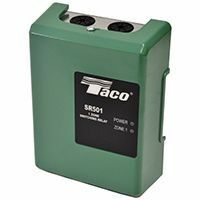 SR series single zone, multi-zone and expandable circulator switching relays for thermostat-circulator pump interface. 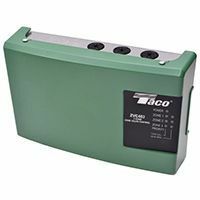 Best on the market, ZVC series multi-zone and expandable zone valves controls with universal compatibility. 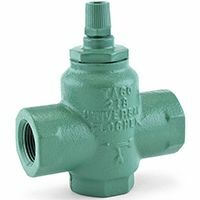 Taco's famous 5000 series thermostatic and anti-scald lead-free mixing valves in a variety of sizes and connection options. 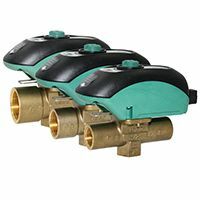 LeakBreaker series floor prevention valve and controls based on famous Sentry zone valve design. 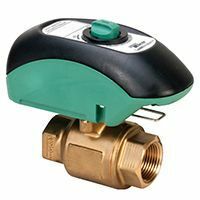 Pressure reducing and boiler fill valves for hot water hydronic and radiant heating applications, incl. 329, 334, 3350 and 3450 series. 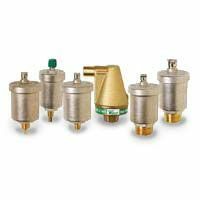 4900 series air separators, 430 series cast iron air scoops and Vortech series air eliminators for radiant and hydronic heat uses. 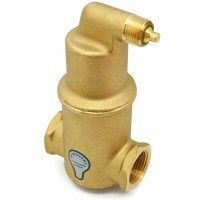 400 series air vents in a variety of sizes and configurations to fit any hot water hydronic heating project needs. Cast iron and bronze flo checks by Taco prevent gravity circulation when heating system is not in use.